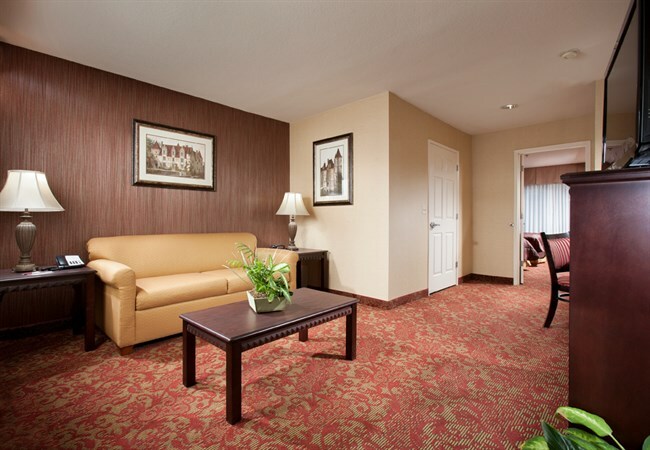 Enhance your stay at Castle Inn and Suites when you book one of our spacious accommodations. Our Anaheim rooms and suites offer more space to relax after a wonderful day exploring local theme parks or attending meetings and seminars at the nearby convention center—all at an affordable price. We offer rooms and suites for different size families, with ADA-accessible rooms also available. No matter what type of suite you choose, you will love the amenities that come in each. Our most popular room type with all the amenities you would expect or need. 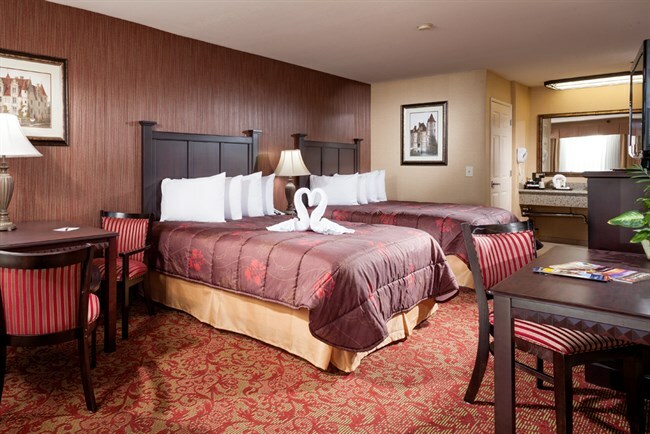 Standard rooms include two queen-sized beds, wi-fi and cable television, work desk, coffeemaker, and bathroom. This one-room suite is spacious and can comfortably accommodate up to 6 guests. It features two queen beds in the bedroom area and a sofa bed in the living space. Those desiring a little more privacy will love our Parlor Suites. These offer two rooms; a bedroom with two queen beds and a living room with a sofa bed. There are also two TVs and an extra sink area. This appropriately named suite is great for any number of guests (up to 6 people), offering plenty of space and privacy for everyone. It offers two separate rooms, each with their own TV. The front room features a king-size bed and the back room offers two queen beds. The suite also has an extra sink area. 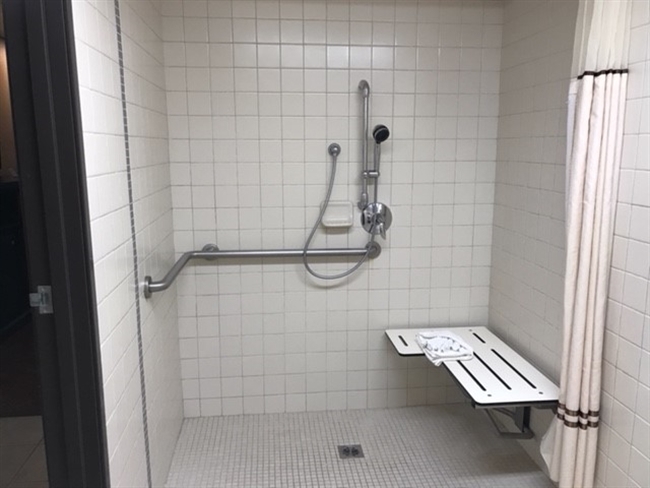 Designed under ADA guidelines, these Accessible Queen rooms feature appropriate doorway, bedroom, and bathroom configurations and include a tub/shower combination (not roll-in-shower). Designed under ADA guidelines, these Accessible Queen rooms feature appropriate doorway, bedroom and bathroom configurations and include a bathroom with roll-in-shower.